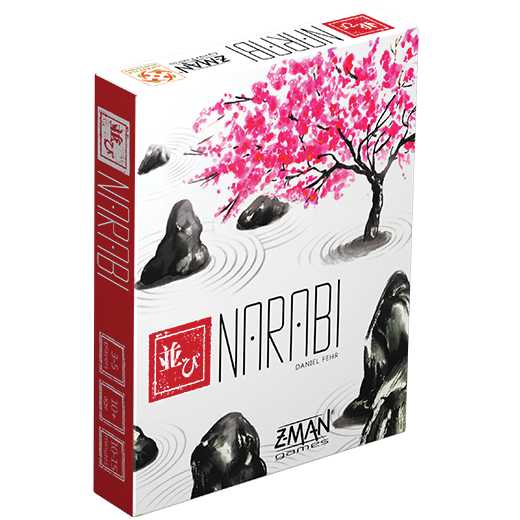 A compact game of elegant simplicity, in Narabi players work together to untangle the chaotic placement of stones to create harmonious, numerical order in their stone garden. With quick play, light strategy, and hundreds of card combinations, this is a must-have title. 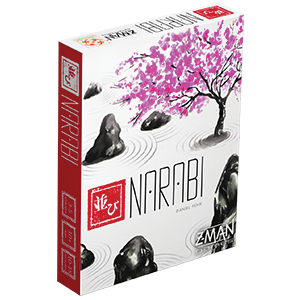 Pre-order your copy of Narabi through our website or your local retailers. Each stone is randomly paired with a restriction card and inserted into the included card sleeves to create hundreds of possible combinations. Each game will be a new puzzle to solve as the restrictions and stones are mixed together. In this setup below, Player 3 looks at the 5 stone. That card is paired with a restriction that says the stone can be switched with a stone with a lower number. With that restriction, Player 3 chooses to switch the 5 stone with the 4 stone that Player 4 has. In the next turn Player 4 could swap that 5 stone with Player 1’s 2 stone, which puts it in numerical order next to the 6 and gets the group closer to the right order.